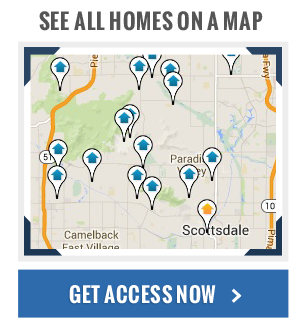 While single-family homes may occupy a large portion of the Scottsdale real estate market, hundreds of condo listings are also available at any given time, giving home buyers plenty of options to consider when trying to find the perfect new place to call home. Of course, Scottsdale condos for sale range in size, style, and price, what seems to be most popular among today's home buyers are the modern-contemporary style condominium residences that offer a sleek and sophisticated look and feel. Some of Scottsdale's most expensive condos are housed in ultra exclusive developments like the Plaza Lofts Tower, Landmark in Kierland, and Optima Camelview Village; but if you're in the market for something that's a bit more affordable, a few attractive options worth considering include Scottsdale Bay Club, Venu and Vintage at Grayhawk, and Bella Vista—which should have plenty of units available somewhere in the mid-$200s. 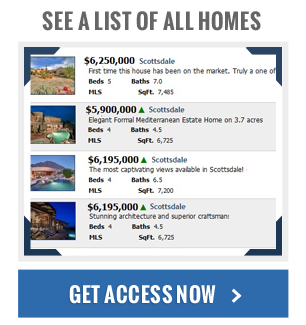 Furthermore, if you're a first-time home buyer looking in the Scottsdale area, or perhaps even an investor, you might be surprised at the wide range of Scottsdale condos on the market between $100,000 and $200,000, or in some cases, even below $100,000.